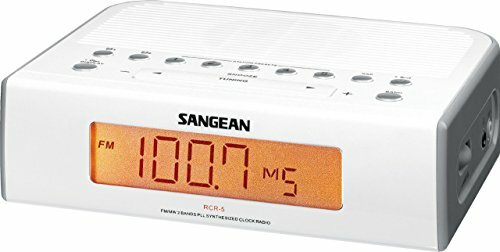 Sangean's latest Digital AM/FM Clock Radio is as attractive as it is unique offering features and performance generally found in the most expensive clock radios. Dual Alarm Timers for both Waking Up to Radio and/or Waking up to HWS Buzzer at different times for week days, weekends, daily or just once. Has both Sleep and Nap and Snooze timers if you need a little extra sleep. Aux input allows listening to your CD or any audio device through the RCR-5. View More In Shortwave Radios.